TRENT O’DONNELL created, wrote and directed television series’ NO ACTIVITY for Stan in Australia and subsequently developed and directed it for CBS All Access. The Australian series were nominated for 5 AACTA awards and 3 Logies winning Best Performance in a Comedy Series for Patrick Brammall in 2016. Trent directs episodic series including A.P BIO, SINGLE PARENTS, THE GOOD PLACE, BROOKLYN NINE-NINE, GRACE AND FRANKIE and GRANDFATHERED. 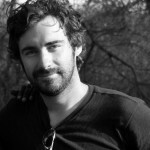 Trent was a Director and Executive Producer on NEW GIRL season 4, 5 and 6 for Fox TV in Los Angeles. Trent directed the first series of THE LETDOWN which aired on ABC1 in Australia and was Netflix Originals globally. The series won three AACTA awards including Best Television Screenplay, Best Comedy Program and Best Performance in a Comedy Program. Trent created, wrote and directed comedy series including SQUINTERS, THE ELEGANT GENTLEMANS GUIDE TO KNIFEFIGHTING, THE MOODYS and REVIEW WITH MYLES BARLOW for ABC 1 in Australia. THE MOODYS was nominated for AWGIE Best Comedy Script and AACTA Best Television Comedy Series, Best Screenplay in Television and Best Lead Actor in a Comedy Series (2012). A MOODY CHRISTMAS won an AWGIE in 2013 for Best Narrative Comedy Script. A remake pilot screenplay was commissioned by CBS Studios in 2013.
REVIEW WITH MYLES BARLOW won four AFI awards and an AWG award for Best Comedy screenplay and was nominated for Outstanding Comedy at the Logies. Format rights have sold for remakes in the US, UK and the Netherlands. The remake REVIEW aired on the Comedy Channel in the US for three seasons from 2014 – 2017 starring Andy Daly. Trent’s older directing credits include four-part series PROBLEMS, starring comedian Sam Simmons, WOODLEY, LAID and KITCHEN CABINET starring journalist Annabel Crabb and Australian politicians – all for ABC 1. His short films, TINY LITTLE PIECES and RAW PRAWN, were Tropfest Finalists in 2002 and 2000 respectively.